Who doesn’t love clean laundry? It looks good, it smells fresh, and if it’s straight from the dryer, then it feels nice and cozy too! My favorite is pulling a warm, hug-full of towels and sheets from the dryer and burying my face in it, as I carry it all away to be folded. Do you do that too? Bury your face in the warm laundry? When you do, what does it smell like to you? Some people associate the fresh smell of laundry with whatever fragrance is listed on their detergent or fabric softener label. Or if they’ve just washed their whites, then it’s the smell of bleach that assures them everything is just as clean as it could get. Personally, that’s the opposite of what I think. I associate the smell of fresh laundry with no scent at all. Think about it: if you can smell the detergent, bleach or softener, then it’s still lingering on your clothing, bed sheets, and towels. But what is it that’s lingering behind? Sometimes it’s an essential oil, which I’m ok with. But more often, it’s a synthetic chemical that you don’t want rubbing against your skin all day. And you definitely don’t want these residual contaminants on your towels. While a towel may only touch your body for a short time as you dry off and pick out the day’s outfit, your pores are wide open after a hot shower. This makes your skin even more susceptible to absorbing whatever gnarly toxins may be present. One of the more offending ingredients in laundry detergents and fabric softeners is simply called “fragrance”. And that is the only word most brands will list on the label… fragrance. (Sometimes listed as “parfum”.) They don’t tell you about the hundreds (sometimes thousands) of chemicals that make up that synthetic fragrance. But for those who find themselves sensitive to chemicals, this single ingredient tends to be a huge trigger. And of course, it’s not the only one. 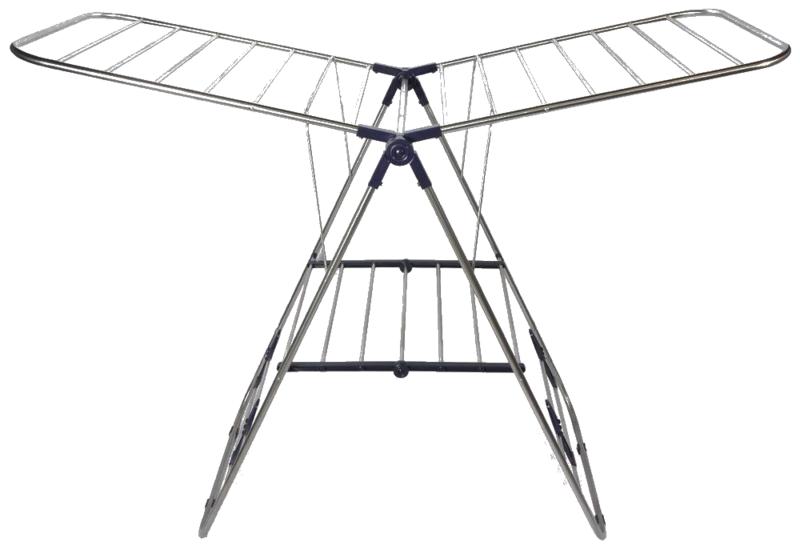 Most commercial laundry solutions – and even many so-called “natural” brands – contain sulfates, phosphates, ammonia, chlorine (in bleach), and a host of other unsavory ingredients that can cause your skin to itch or break into a rash. The scent can make your eyes water, your throat burn, or even make it difficult to catch a breath. 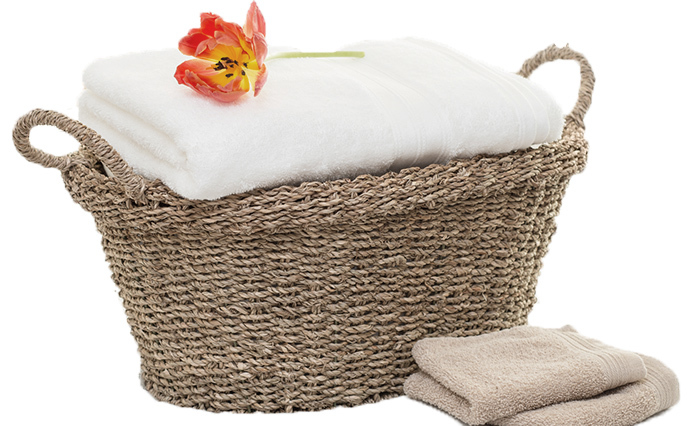 Since nature provides us with safe and natural laundry detergents, softeners, and whiteners that are both highly effective and inexpensive, those toxins seem entirely unnecessary. First, let’s take a look at how labels can be deceiving, so you know what to avoid. Then let’s talk about nature’s safer alternatives. There are too many brands out there claiming to be healthy and natural when they are anything but. Their pretty labels with flowers, babies, and soft, natural colors can be deceiving. They may even be fragrance-free. But flip over the package to check the ingredients list and you may be surprised by the volume of chemicals you find. Worse yet (and this is annoyingly common with supermarket brands) you may not find any ingredients listed at all. Most labels just say something like, “check our website or call for ingredients“. Yeah, right! Can you imagine standing in the supermarket aisle, checking the ingredients online for everything on your shopping list before deciding which brand to buy? 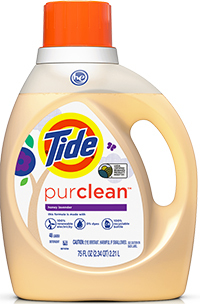 In the case of Purclean, which is Tide’s supposed foray into ‘natural’, a general description of the ingredients is listed, but not the ingredients themselves. These descriptions look safe and healthy, which feels like a clever marketing ploy to get folks to buy without visiting their website for the true contents. Tide’s website says that Purclean’s ingredients are 65% plant-based, but that doesn’t always mean the ingredient is completely natural. Words like “derived from” or “plant-based” can be tricky. While these ingredients do come from nature initially, they aren’t the same thing as the mineral or plant itself. For example, many natural lotions contain coconut oil, while others use ingredients that are derived from coconuts. See the difference? The ‘derived-from‘ ingredient is synthetic and, depending on the ingredient and how it’s manufactured, may not resemble the plant (or characteristics) from which it was originally derived. To clarify, synthetic ingredients aren’t necessarily a bad thing; plenty of healthier ingredients are synthesized from nature. In fact, some lab-synthesized ingredients are cleaner than their naturally sourced counterparts. Titanium dioxide is a great example. In nature, it is often contaminated with heavy metals, but it can be cleanly synthesized in a lab from pure titanium + oxygen. Regardless, this distinction between actual plant ingredients vs. plant-based ingredients is just something to be aware of, especially if the end result contains impurities or the final ingredient is something you happen to be sensitive to. When brands do list lab-made ingredients, you may see them as their synthetic ingredient name alongside “plant- based” or “derived from” in parenthesis. Again, some are fine while some are not and it’s not easy to tell the difference, just by looking at them. This is actually a shampoo, not laundry detergent. But it makes the point well. Simply put, healthier laundry detergents, bleaches, and softeners are made from botanical and/or mineral ingredients. Some of those ingredients may be – or may contain – ingredients that have been synthesized from nature. But the final product should be free from harsh chemicals, dyes, synthetic fragrances, and other potentially triggering contaminants. 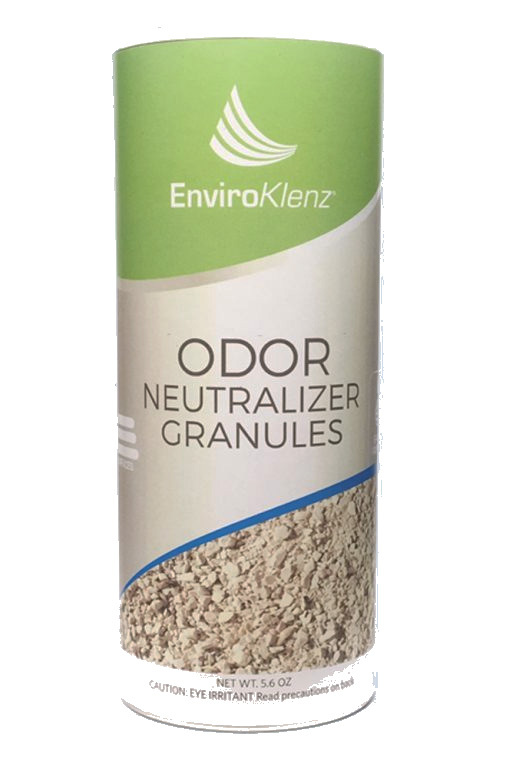 Enzymes are extracted from plants to break down organic stains and odors. Examples that you might find on the label include protease, amylase, lipase, mannanase, pectinase, and/or cellulase. A lesser-known yet completely natural laundry detergent (and what I’ve personally used for years) is found inside the shells of naturally grown soap berries. Also known as “soapnuts”, you’d be hardpressed to find a detergent that is more pure and natural. Soapnuts grow on the sapindus mukorossi (soapberry) tree in the Himalayas and their shells contain a natural soap, called saponin. According to some growers, insects don’t like the taste of soapberries, so pesticides are neither necessary nor used. 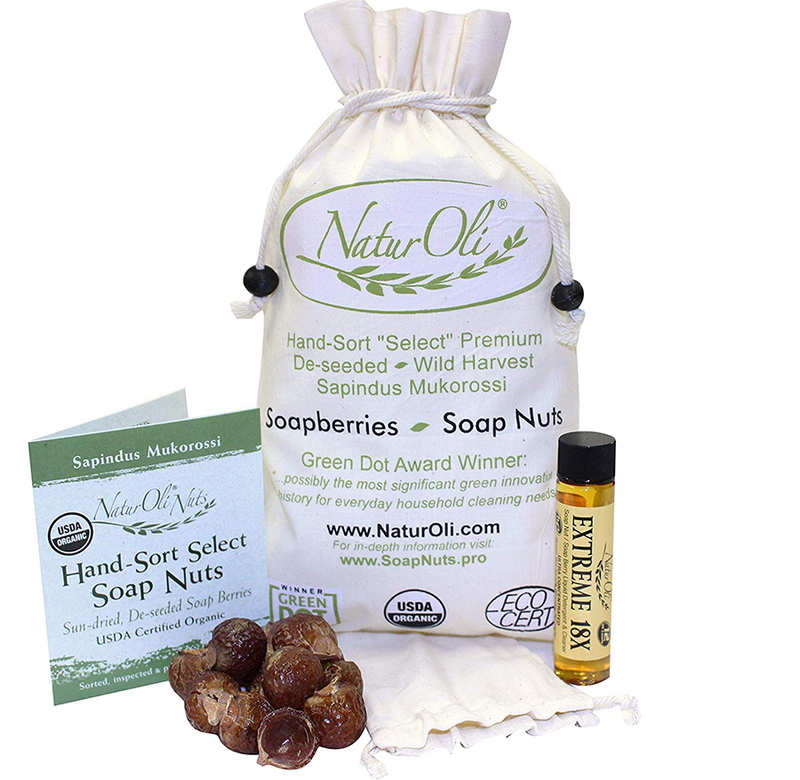 As a long-time user of soapnuts, I can tell you firsthand how effective they are at cleaning laundry. While they are often referred to as soap nuts, these are actually berry fruits and are safe to use by those who suffer from nut allergies. To wash your laundry, simply throw 5 or 6 soapnuts into a small cotton or linen bag and tie it closed. 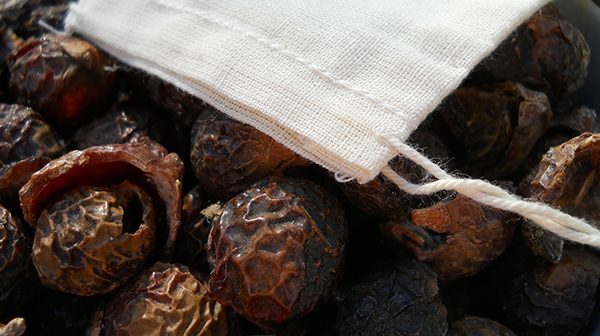 (The soapnuts are typically sold with a few of these small washing baggies.) Add your laundry to the washer and toss the bag on top. Once the washer fills with water and starts swishing everything around, the agitated soapnuts will release the saponin (the soap) and clean your laundry. A little bit goes a long way and you can reuse the same bag of soapberries for as many as five to ten loads. Their deep brown color will begin to whiten, once they’re out of saponin. If you’re still not sure whether it’s time to replace them, simply wet the soapnuts and see if they still feel a bit slippery. That’s a sign they still have soap left. If they’re not slippery, their natural soap is gone and it’s time to refill the bag. Most bags of soap nuts are filled with several months of supply and you can toss the used berries into the compost bin once they’re done. 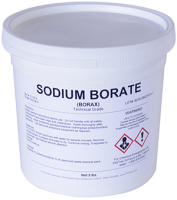 Naturally occurring borax (sodium borate) is a mineral salt of boric acid, found in seasonal lakes that repeatedly evaporate and leave behind this salt. It is also found in seawater and near volcanoes. Despite its origins, borax has been controversial as a natural alternative to chemical cleaners for some time. Healthy lifestylers praise its ability to clean and deodorize laundry (among other helpful uses), while others fear its toxicity. Those against borax tout scientific research linking it to skin irritation, gastrointestinal distress, and hormone disruption. Those who love borax, tout the same scientific research that claims borax is only toxic when ingested or inhaled at extremely high levels. They say that it is, therefore, safe for laundry, where it is not intended to be either ingested or inhaled. So is borax safe as laundry detergent? I haven’t seen any research that conclusively resolves the debate. Frankly, if soap nuts did not exist, I’d probably give borax a try, given what I’ve read. But since soap nuts do exist and since they are 100% pure, effective, entirely safe, and are not surrounded by any controversy, I haven’t found the need to use borax. Soapnuts, washing soda, plant enzymes… all are great for washing ‘regular’ laundry without chemicals and synthetic fragrances. The problem is that new clothes are often steeped in manufacturing toxins that can be almost impossible to remove with regular cleaning. Likewise, vintage clothing and clothing that has been seasonally stored in the attic or basement can accumulate bacteria and mildew over time. 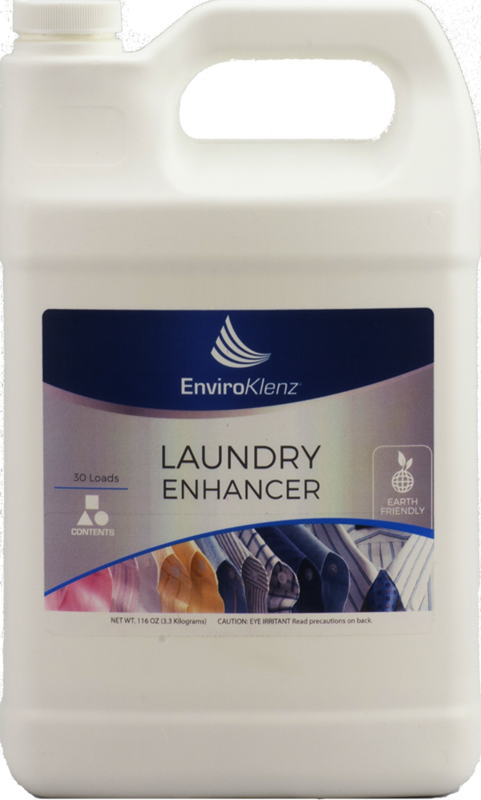 There’s a brand called EnviroKlenz that formulates their products specifically for the chemically sensitive and has created a laundry booster that works to safely neutralize these contaminants. 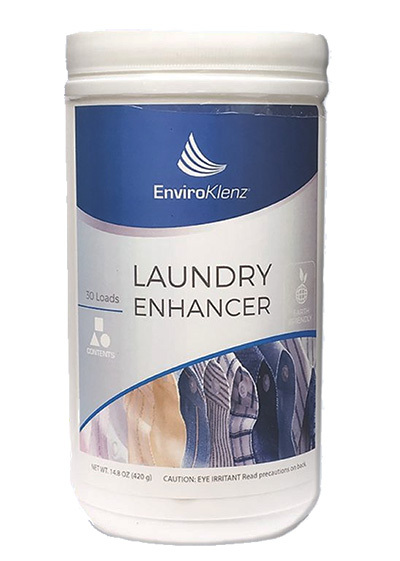 In addition to mold, mildew, and nasty manufacturing toxins, their laundry enhancer also removes persistent odors such as the mustiness from sweaty clothes and wet towels left too long in your gym bag, as well as perfume, smoke, and other thrift store odors left behind by the previous owner. As an added bonus, if you wash your clothes at a laundromat, you’ll be happy to know that it helps to prevent cross-contamination of your laundry from any chemical-based detergents, bleaches, softeners, or fragrances lingering in the machine from previous users. Conventional dryer sheets and liquid fabric softeners use a host of unsavory chemicals to make our towels, sheets, and clothing soft, static-free, and pleasant smelling. But they often achieve these goals by leaving behind softening contaminants that have been known to cause rashes and other skin irritations. The good news is that we can easily soften our laundry without chemicals… and for a whole lot less money. Baking soda, white vinegar, and wool dryer balls are excellent options. White vinegar helps to brighten your clothing, while baking soda boosts the efficacy of your laundry detergent. Both dissolve soapy residue from the washing machine and pipes, reducing the risk of plumbing issues over time. AND both help to soften your laundry. Using them couldn’t be easier. Just drizzle a cup of baking soda over the clothes or add 1⁄2 cup of white vinegar to the fabric softener dispenser. Wash as usual. 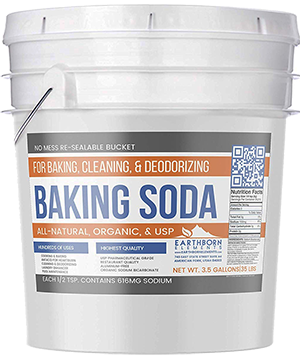 If you use baking soda as much as I do (for both cleaning the house and in the laundry) I’d recommend buying it in bulk. It’s already inexpensive, but the bigger container helps you to save even more. 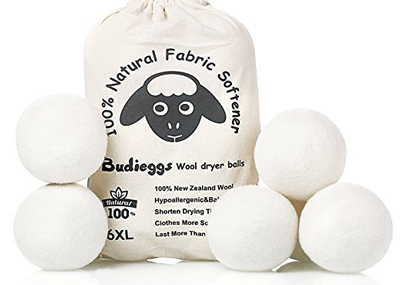 I’ve been using wool dryer balls to soften my laundry for as long as I’ve been using soap nuts to wash it. Which is to say, I’ve been using both for several years now. And I love them. Wool dryer balls may seem expensive at first, when compared to a box of dryer sheets or bottle of liquid softener. But they last dozens of loads, so you actually save money in the long run. They also reduce static and pet hair on your clothing, as well as help the laundry to dry faster, which saves on the energy bill. Soften Your Laundry: Toss 2 to 3 wool balls into the dryer and set the timer for 10-15 minutes less than you normally would. Reuse them for roughly 4-6 months. Chlorine bleach does an amazing job of whitening your dirty socks, tees, and towels. But conventional bleach is a big no-no for those who are sensitive to chemicals, as even the faintest whiff can trigger some nasty symptoms. In fact, chlorine bleach is even a bad idea for those who are not chemically sensitive. The harsh fumes are dangerous to inhale and can lead to serious respiratory issues over time. The chemical residue also remains on clothing, towels, sheets, and cloth diapers. As mentioned, this can cause rashes and irritation, as the fabrics lay against our skin. For a more natural white, replace chlorine bleach in the washing machine with non-chlorine bleach. To whiten your laundry, either pour 1/2 cup of a liquid oxygen bleach into the bleach tray OR sprinkle 2 tablespoons of a powdered oxygen bleach alongside your regular detergent. Add your laundry and wash as usual. It’s really that simple. Sun is the most powerful bleach there is. And it’s free. Fabrics tend to whiten better in the sun when they are wet, so wash or wet the items first, then hang them on a clothesline or drying rack. Or if you only have a few items, you can just lay them on a towel. Be sure to straighten any wrinkles as best you can, so the sun hits everything evenly. And only keep your laundry in the sun for 2-3 hours at a time, as leaving them out for too long can weaken the fabric. Especially dingy clothing or dark stains may require another sun-soak or two before fully whitening. When old socks, t-shirts, cloth napkins, and washcloths become greyish over time, white vinegar can help. Fill a large pot halfway with water. 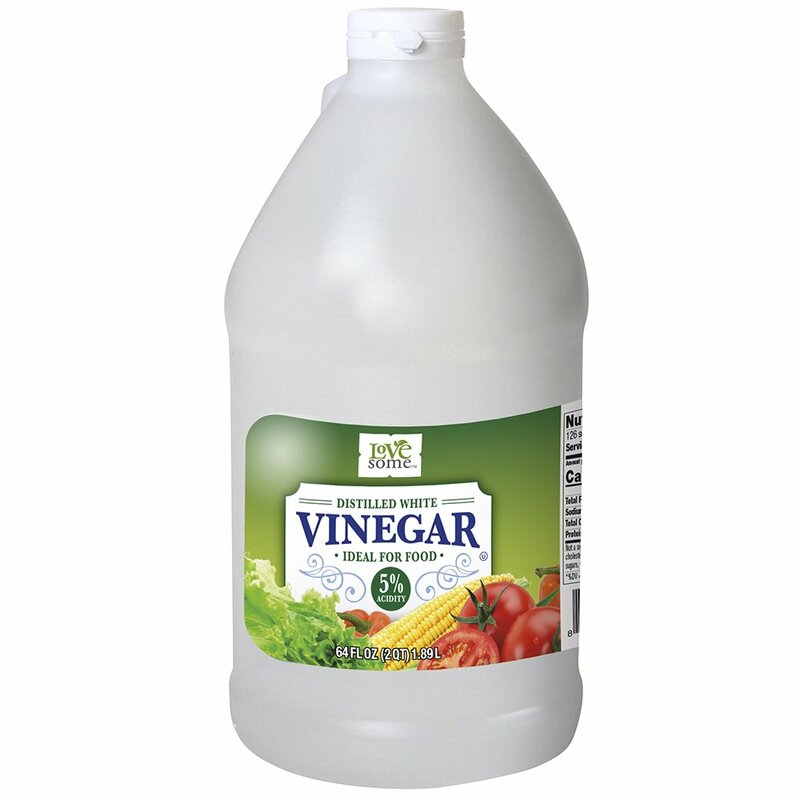 Add 1-cup of white vinegar. Bring the pot to a rolling boil and turn off the heat. Carefully place the laundry items into the pot. Let them soak overnight, then wash as usual.